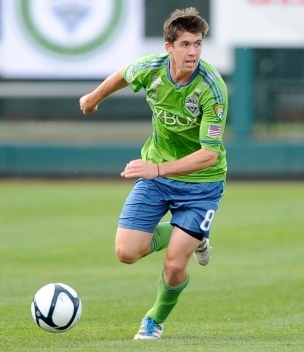 Quinn played college soccer at Bradley University in 2009 and at the University of Akron between 2011 and 2013.During his time at college Quinn also played for USL PDL clubs Akron Summit Assault during their 2011 season,[and Seattle Sounders FC U-23 during their 2012 and 2013 season's. Quinn was selected by Philadelphia Union in the third round of the 2014 MLS SuperDraft (52nd overall), but wasn't signed by the clubQuinn later signed with USL Pro club Orlando City on March 19, 2014. He was released upon the conclusion of the 2014 season, a casualty of the club's transition to Major League Soccer. Quinn signed with Louisville City on May 11, 2015. Success is simple. Do what’s right, the right way, at the right time.